Please ask anything to the founder of Kishinjuku Makoto Kojima. 【Question①】”When an enemy has grasped both wrists, what should we expect these days?" 【Question②】”What does (脱力datsuryoku) the draining of strength mean?" 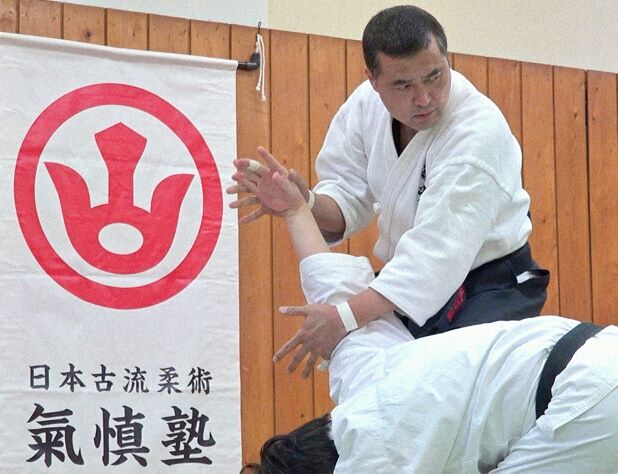 【Question③】”What is &apos;Aiki&apos; in fact ?" 【Question ⑤】"How many techniques do you have?" 【Question ⑥】"Do you participate or planning to participate to demonstration performance (Embu-kai) ?" 【Question ⑦】"Is there an obligation to acquire Menkyo Kaiden license (license of total transmission) in your school ? 【Question ⑧】 "Can I start Kishinjuku if I belong to other organizations ?"